1. 1st Cargo Of Russian LNG Arrives At Dahej In Gujarat. As part of India’s new energy sourcing strategy, the first Russian long-term liquefied natural gas (LNG) cargo arrived at the Dahej LNG terminal in Gujarat on Monday. This 3.4 trillion British thermal unit (TBtu) of cargo followed the first US long-term LNG cargo from the Houston-based Cheniere Energy Inc that arrived in India in March. Indian firms have inked long-term LNG contracts totalling 22 million metric tonnes per annum (mmtpa), with the country consuming 145 million standard cubic meters a day (mmscmd) of gas. India, the world’s fourth-largest LNG importer, has also been trying to leverage the glut in global LNG supplies to renegotiate its contracts. 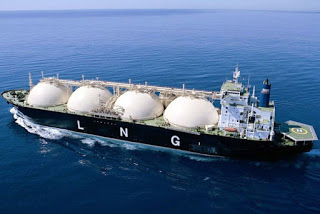 “The first LNG cargo under the long term contract between GAIL and Gazprom Marketing & Trading Singapore (GMTS) of Russia arrived today at the LNG terminal of Petronet LNG Ltd (PLL) in Dahej, Gujarat,” GAIL said in a statement. Major energy consumers such as India are seeking better prices as new natural gas suppliers such as Mozambique, Tanzania, Egypt, Israel, Canada and Cyprus expected to enter the LNG market. India imported 19 million metric tonnes of LNG in 2016-17. The starting of LNG imports from Russia has added a new dimension to Indo-Russian bilateral relations, particularly in the oil and gas sector, said India’s petroleum minister Dharmendra Pradhan, who was present on the occasion, according to the statement. Indian firms have invested $10 billion in acquiring stakes in hydrocarbon assets in Russia. Also, a consortium led by Russia’s Rosneft PJSC acquired Essar Oil Ltd for nearly $13 billion. LNG imports from Russia will go a long way in mitigating risks arising out of geopolitical uncertainties, Pradhan said. This comes at a time when there has been growing uncertainty in the global energy market with US President Donald Trump pulling his country out of a 2015 historic accord with energy-rich Iran that was inked to curb the Islamic Republic’s nuclear programme in return for ending sanctions. Also, factors such as growing cooperation between OPEC and Russia to control supplies, falling production in Venezuela and geopolitical tensions have fuelled the uncertainty in international energy prices. “GAIL became the first Indian public-sector company to source LNG from Russia on a long term. It has contracted to import 2.5 mmtpa of LNG from Gazprom Marketing and Trading Singapore on a long term basis,” the statement added. This comes at a time when the National Democratic Alliance government is pushing for a gas-based economy. India plans to connect 10 million households to piped natural gas by 2020. The government also plans to provide free cooking gas connections to 80 million poor families under the Pradhan Mantri Ujjwala Yojana. Gas accounts for around 6.2% of India’s primary energy mix as compared to a global average of 24%. The government plans to increase this to 15% by 2030. India’s gas demand is expected to be driven by the fertiliser, power, city gas distribution and steel sectors. 2. 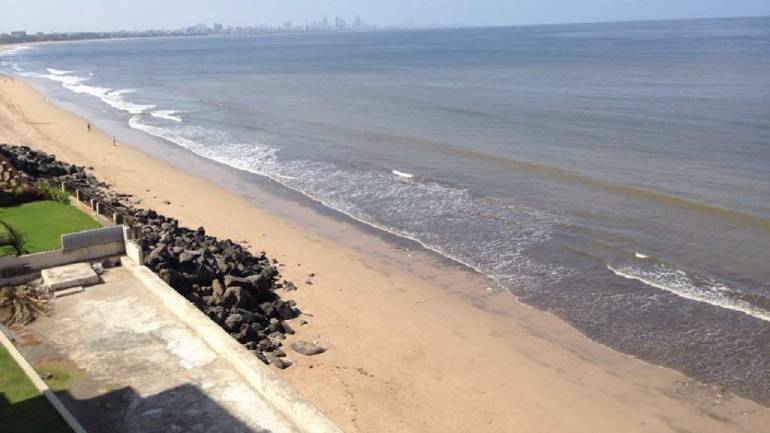 Asia`s 1st 13 `Blue Flag` Beaches To Be Developed In India. Environment friendly, clean and equipped with amenities of international standards for tourists, 13 Indian beaches will soon get the Blue Flag certification. These beaches of Odisha, Maharashtra and other coastal states will be the first in not just India, but in Asia, to get the Blue Flag certification. He said that according to the Blue Flag standards, a beach has to strictly comply with 33 environment and tourism related conditions. There is not a single Blue Flag beach in Asia so far, he added. The Blue Flag beach standards were established by Copenhagen-based Foundation for Environmental Education (FEE) in 1985. Within the next two years, almost all beaches in Europe were accorded the Blue Flag certification. This campaign spread outside Europe, to South Africa, in 2001. Asia remains untouched by it till date. The environment ministry started a pilot project to develop the Indian beaches according to the Blue Flag standards in December 2017. This project has two main aims. Firstly, to improve the aquatic habitat by cleaning the growing pollution and garbage in the Indian beaches. Secondly, to develop ecological tourism with constant progress and development of tourist facilities. According to ministry sources, Chandrabhaga beach of Odisha’s Konark coast was the first to complete the tag certification process. It will be awarded the honour on the World Environment Day on June 5. 3. NTPC Adopts Charminar Under Swachh Iconic Places Project. NTPC Ltd has adopted the iconic Charminar in Hyderabad under the Swachh Iconic Places Projects of India. This is part of a special drive under the Centre’s Swachh Bharat Mission. NTPC Ltd and the Greater Hyderabad Municipal Corporation have signed a memorandum of understanding for implementation of development and beautification works under the Charminar Pedestrianization Project in Hyderabad. D.K. Dubey, Regional Executive Director(South), NTPC and B. Janardhan Reddy, Commissioner, GHMC signed the MoU in the presence of Bonthu Rammohan, H.W. Mayor and the Standing Committee Members of GHMC. NTPC, in partnership with the Greater Hyderabad Municipal Corporation, will take up development and beautification works at Charminar, which includes providing battery-operated vehicles for visitors, bollards to prevent traffic, Swachh Auto Tippers (SAT) for carting garbage, mechanical sweeping vehicles and litter picking machines, decorative and halogen lighting of four arches, construction of public utilities, toilets and drinking water ATM kiosks. As part of its Corporate Social Responsibility outreach for protecting the national heritage, art and culture, NTPC will contribute Rs 8.19 crore towards implementation of the project by GHMC in a time schedule of nine months from the date of signing. 4. Govt Announces Rs. 8,000-Crore Package For Sugarcane Farmers. The Union government on Monday announced a package of more than Rs 8,000 crore aimed to provide relief to sugarcane farmers and to clear their dues, officials said. The package is part of the government’s efforts to address the ongoing agrarian crisis in the country and offset its political impact. According to a government official, the package includes three elements. A buffer stock of 30 LMT (lakh metric tonnes) of sugar will be created with Rs 1,200 crore. This money will be directly transferred to accounts of sugarcane farmers. 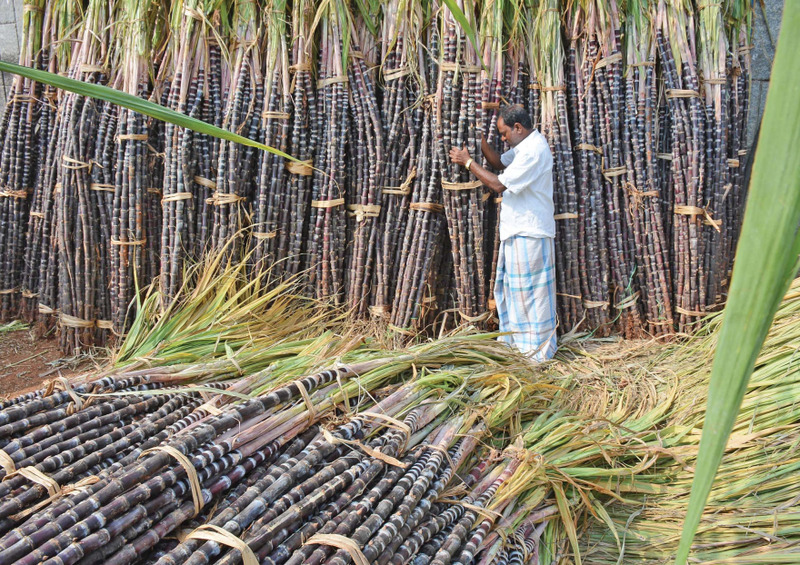 Rs 4,400 crore will be used to increase ethanol production to divert sugarcane away from sugar mills which are unable to dispose of their inventories. The government has also decided to ensure a minimum sale price of Rs 29/kg for sugar. To be sure, a creation of buffer stock need not lead to the government buying sugar from the market, and might actually entail the government agreeing to bear a part of carrying cost of unsold inventories of sugar mills. A spokesperson of the Indian Sugar Mills Association declined to comment on the package citing lack of exact details. A crisis in the sugar industry shot into limelight after the BJP’s defeat in the Kairana Lok Sabha bypoll. The region is dominated by sugarcane farmers who have been protesting against the non-payment of dues by sugar mills. According to media reports, pending arrears of sugarcane farmers in Uttar Pradesh alone are to the tune of more than Rs 12,000 crores. 5. Govt Launches `Krishi Kalyan Abhiyaan` To Help Farmers In Aspirational Districts To Raise Their Income. The government has announced the launch of ‘Krishi Kalyan Abhiyaan’ under which farmers in select villages will be given assistance and advice on ways to improve farming techniques and raise their income. An official statement in New Delhi said that the Agricultire Ministry in line with the Prime Minister Narendra Modi’s vision of doubling farmers’ income by 2022 has launched the Krishi kalyan Abhiyaan from 1st June to 31st July, 2018. The scheme aims to help farmers in 25 villages with more than 1,000 population each in 111 Aspirational Districts identified in consultation with Ministry of Rural Development as per directions of NITI Ayog. Farm science centres called Krishi Vigyan Kendras (KVKs) will coordinate and implement the programme. As many as 111 officers have also been made in-charge of one district each for overall coordination and field level monitoring. These officers have been selected from subordinate/attached/autonomous organizations/PSUs etc of Ministry of Agriculture & Farmers Welfare. 6. Polythene To Be Completely Prohibited From 31st July In Uttarakhand. Rising to the environmental challenge posed by rampant use of plastic, Uttarakhand has banned the use of polythene from July 31, while Tamil Nadu, Nagaland, Maharashtra and Jharkhand on Tuesday announced to become plastic-free states. The state governments expressed their resolve to end the menace as India played global host to 2018 World Environment Day celebrations with the theme “Beat Plastic Pollution”. Tamil Nadu Chief Minister K Palaniswami told the state Assembly that his government would ban the use of plastic items, including non-biodegradable carry bags, from January 2019 to “gift a plastic-free” state to future generations. Plastic sachets used to pack milk, curd and oil, besides those used to wrap medical products, would be exempt, Palaniswami said in Chemnai. 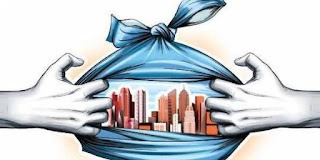 Chief Minister Raghubar Das announced that Jharkhand would become a plastic-free state by June 5 next year, while Nagaland Chief Minister Neiphiu Rio set the December deadline to “free the state of plastic waste”. Maharashtra Environment Minister Ramdas Kadam said the state would be totally free of plastic in the next one year. In Uttarakhand, CM Trivendra Singh Rawat said polythene will be banned in the state from July 31. A week before the ban, a mass awareness campaign on environmental damage caused by polythene would be undertaken in the entire state, he said. Rawat said environment conservation was a collective responsibility and everyone would have to make their contribution to Prime Minister Narendra Modi’s call for building a plastic-free India. 7. Maharashtra Announces Financial Aid For Tur Farmers. Maharashtra government will provide financial grant of 1,000 rupees per quintal to those farmers whose tur and gram could not be purchased by the administration before the May 31 deadline. The state government had set up tur procurement target of 44.6 lakh quintals. The government had started purchasing tur from farmers by offering them guaranteed rates following bumper tur production. Speaking to reporters after weekly cabinet meeting, Chief Minister Devendra Fadnavis said the government will also give a financial aid of 160 crore rupees to farmers whose crops got damaged due to unseasonal rain or hailstorm. The chief minister also announced a special subsidy for milk producers. Among other decisions, the Cabinet approved a proposal for construction of a 100-bed cancer hospital on the private partnership basis with Tata Trust in the premises of the Government Medical College and Hospital at Chandrapur in east Maharashtra. The Cabinet also decided to allot 5 crore rupees per year to each of seven cantonment boards at Pune, Aurangabad, Ahmednagar, Kamptee, Khadki, Dehu, and Deolali for providing basic civic amenities like road and water supply. The Cabinet also approved the state’s contribution in the implementation of the National Nutrition Mission 2018-19 in 85,452 Anganwadi centres across 30 districts of the state under the Integrated Child Development Scheme (ICDS). 8. Madhya Pradesh Announces Outstanding Power Bill Waiver Scheme. Labourers falling under the unorganised sector in Madhya Pradesh will get power supply at a subsidised rate. The state cabinet also approved Mukhyamantri Jan Kalyan (Sambal) Yojana 2018 (a scheme to provide subsidised power) in the meeting. Under the subsidised power scheme, registered labourers of the unorganised sector and Below Poverty Line (BPL) families would be provided electricity at a cost of Rs 200 per month. "In case the bill is lower than Rs 200, the beneficiary will have to pay the actual bill amount and in instance of the bill amount crossing Rs 200, the difference amount would be subsidised by the state government," an official release read. Power connection under the Mukhyamantri Jan Kalyan (Sambal) Yojana would be provided free of cost to the beneficiaries. The scheme is expected to benefit 88 lakh families in the state. "People not using air-conditioners, electric heaters and whose power consumption is below 1000 watts would be eligible for this scheme. The beneficiaries can operate a fan, a television, and bulbs. 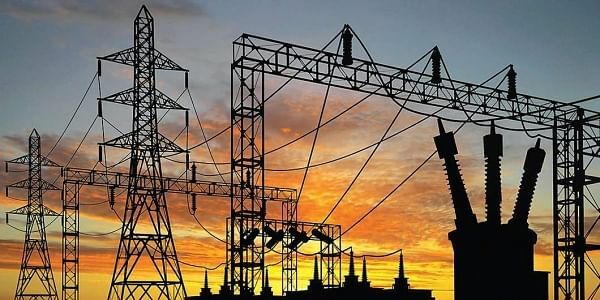 Under the power bill waiver scheme, pending dues (as on June 1, 2018) of registered labourers of the unorganised sector and poor families would be waived completely," it added. The scheme is likely to cost the state exchequer Rs 1000 crore and come into effect from July 1. 9. 49th Conference Of Governors Concludes In New Delhi. The two-day 49th Conference of Governors and Lieutenant Governors concluded at Rashtrapati Bhavan yesterday. In his closing remarks, President Ram Nath Kovind expressed confidence that the deliberations made at the conference will strengthen the national efforts to improve lives of the people. Mr Kovind said, Raj Bhavans must take the lead in adopting modern technology and methods by using a wide variety of IT initiatives, including real-time dashboards. The President noted that today is World Environment Day and the approach of Think Global – Act Local is considered effective for environment protection. He said, keeping in mind the Sustainable Development Goals, the Paris Accord and the International Solar Alliance, local and state-level contributions are important to achieving national goals. The President said, Governors can inspire universities towards University Social Responsibility and university students should visit villages at regular intervals. He said, the students should engage with residents of the village in regard to cleanliness, literacy, immunisation and nutrition programmes. The Vice President, Prime Minister and Home Minister also addressed the concluding session of the Conference. Earlier in the day, the Conference of Governors discussed ideas on the commemoration of the 150th birth anniversary of Mahatma Gandhi. Presentations were made on the Gram Swaraj Abhiyan and Swachhata Internship. 10. Election Commission Launches Its Online RTI Portal. The Election Commission of India today launched an online RTI portal to help applicants seeking information under the Right To Information Act. The portal can be accessed on the home page of the commission`s website `eci.nic.in`, an official statement said. There is also a gateway for making online payment of requisite fees under the RTI Act. The portal also facilitates online reply to applications and also for making first appeal and reply thereto. There will be timely notification alerts to the RTI applicant via SMS and email, the statement said. Chief Election Commissioner O P Rawat, Election Commissioners Sunil Arora and Ashok Lavasa were present on the occasion. 11. 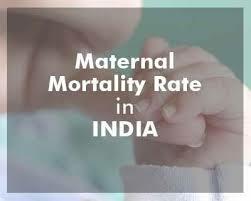 India Records 22% Reduction In Maternal Mortality Ratio Since 2013. “The latest SRS figures reveal that we have gone beyond the MDG target of Maternal Mortality Ratio (MMR) of 139 by 2015 & have reached 130!! I congratulate the Ministry, @MoHFW_India and the states for their joint efforts,” Union Health Minister J P Nadda said on Twitter. 12. IIT Bombay Displaces IIT Delhi As Best-Ranked Indian University. 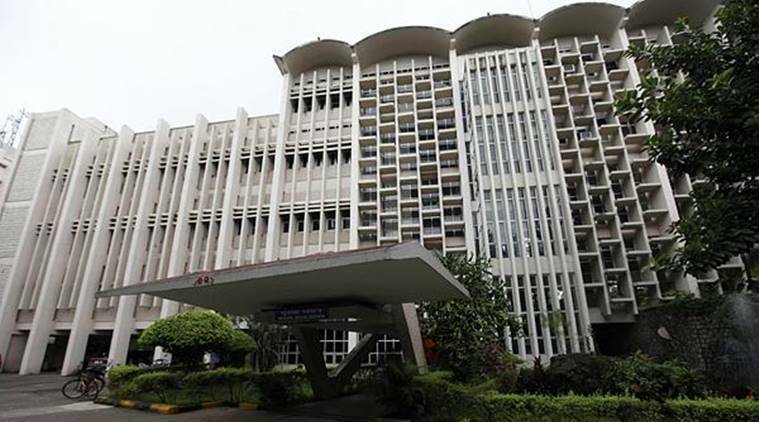 A YEAR after it broke into the top 200 club, IIT-Bombay has emerged as the country’s best university in the latest edition of the QS World University Rankings released late Wednesday night. IIT-Bombay moved up 17 places (162 rank) this year to displace IIT-Delhi as India’s top ranked institution. The latter has also been overtaken by IISc-Bangalore, which gained 20 positions to 170 rank. However, despite the improvement, IISc has not managed to get back into the top 150 club, the position it held two years ago. IIT-Delhi’s performance remained unchanged this time (172 position).IIT-Bombay’s rise in the QS Rankings has been dramatic. Last year, the institute improved its performance by 40 positions, from 219 rank in 2016 to 179 in 2017, to join its counterpart in Delhi and IISc-Bangalore in the top 200. Overall, six of the country’s eight ranked IITs/IISc improved their rank, with two (IIT-Delhi and IIT-Madras) remaining stable year-on-year. The impressive performance by the Indian institutes of science technology has been attributed to their research impact. IISc-Bangalore, for instance, has world’s second-highest research impact per faculty member. IIT-Roorkee (89.5/100), IIT-Delhi (84.0/100), IIT-Kharagpur (76.8/100), and IIT-Kanpur (75.6/100) are others with impressive score for citations per faculty. “Research produced by the faculty at the 19 (Indian) universities ranked in both the 2018 and 2019 rankings have yielded, cumulatively, 803,000 citations. This is 85,000 more than in 2018’s edition of the rankings, which is creditworthy. The rise is also responsible for India’s overall citations-per-faculty ratio rising from 46.90 in 2018 to 50.74 in 2019,” the press statement quotes Ben Sowter, research director at QS, as saying.